The GPs at Royal Park Medical are confident and experienced in managing childhood concerns. This section on children’s health covers some of the most common topics and concerns we are asked about, in alphabetical order. Despite the best childproofing and safety measures, accidents do sometimes happen. Our next section covers the common childhood accidental injuries, with suggestions of how to prevent them. Drowning is the major cause of death for children under five years. 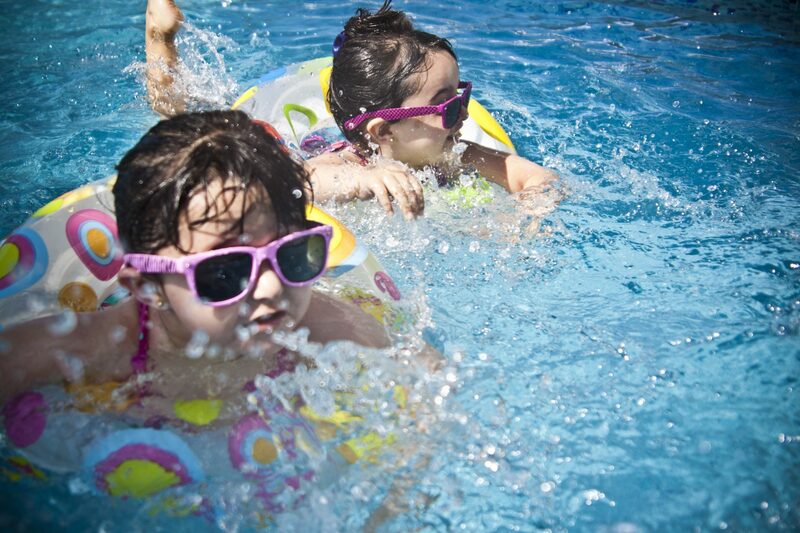 Very young children are prone to drowning because they’re top-heavy. They can slip into or under the water very suddenly, and they can drown in only a few centimetres of water. Drowning can be very quick – it can take only a moment. Young children can also drown silently, without coughing or splashing, so you might not even realise they’re in danger. Drowning remains a leading cause of death for children under the age of 14, and even small amounts of water pose a danger to very young kids. Supervise your child closely whenever they play in and around water. Always supervise babies, toddlers and children under five years in the bath. Never leave older children or siblings to supervise. They don’t have the skills to see and react to an emergency situation. Get everything ready in advance so you can stay with your child for bath time – towel, face washer, cotton wool, clean nappy and clean clothes. Let the water out as soon as bath time is over. Some falls and tumbles are inevitable as children learn to stand, walk, run, and climb. 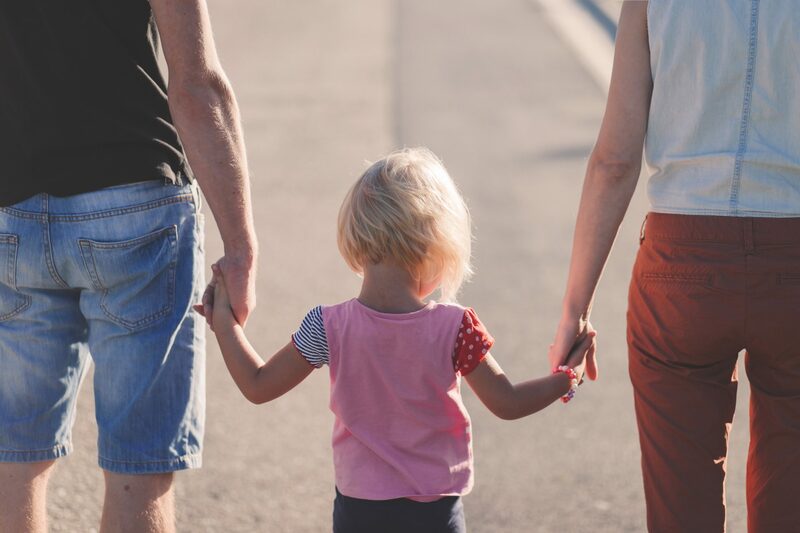 Most aren’t serious, but falls are actually the leading cause of nonfatal injuries for children, including head injuries, fractures and sprains, and contusions or bruises. The seriousness of an injury depends on the height the child falls from, the surface the child falls onto and what the child may hit as they fall. A standing and toddling baby has frequent minor falls. To minimise falls injuries, look at the environment from your child’s level. Children and babies often need different emergency treatment than adults, so take a paediatric first aid course to keep your skills up to date. Keep your child under close supervision. You can reduce the risk of injuries by making a few practical changes to your home. Allergic reactions are common. They occur when our immune system responds inappropriately to something in the environment that is usually harmless. Most allergic reactions are mild but some can be severe and life threatening. Most allergies are caused by foods including eggs, tree nuts, peanuts, sesame, cow’s milk, wheat, soy, fish and shellfish. Most children allergic to cow’s milk, soy, wheat or egg will ‘outgrow’ their food allergy. By contrast, allergic reactions to peanut, tree nuts, sesame and seafood persist in the majority (~ 75%) of children. When food allergy develops for the first time in adults, it usually persists. Whilst there is currently no cure, appropriate management is required. This is a serious reaction to allergen exposure. It might include any of the following signs and symptoms, plus those that are experienced in mild-moderate reactions. The key to preventing allergic reactions is to know the cause and avoid it! This is especially important if you have experienced anaphylaxis. To identify an allergen, your GP may refer you to a specialist doctor (Allergist). Once the trigger is known, it is important to avoid it. This means not to share food/swap food, be aware of ingredients in processed/packaged foods and advise restaurants of your allergies. For milder reactions, antihistamines or oral steroids might be used to manage a reaction. If anaphylaxis is suspected, or if you need to use your autoinjector pen – call 000 for an ambulance. Research suggests ASD has a genetic cause however the exact gene has not been identified. Diagnosis is made by three specialist assessors including a paediatrician (child doctor), speech pathologist and psychologist. If you are concerned about any aspect of your child’s development, please talk to your family doctor. Treatment for ASD varies according to the needs of each child. It may include speech pathology, psychology, social skills behaviour, occupational therapy as well as medication. Early intervention is important, as is supporting the family to care for their child. Asthma is very common. It is caused by narrowing of small air passages due to swelling and increased mucus, which makes it harder for air to get through causing wheezing, cough and difficulty breathing. Though the exact cause is unknown, asthma tends to run in families and is related to conditions like eczema, hay fever and allergy. Triggers can include cigarette smoke, pollens, cold exposure, viral infections, exercise and pets. It is important to avoid your triggers. Asthma can be well controlled by the right medicine and almost all children can live normal lives and play all sports. Your health professional can discuss suitable medications with you, and show you how to administer them. It is important to have a written action plan and to know how to use it. Your child’s school or child care should be provided with the plan. Royal Park Medical doctors can help you and your child manage asthma better by developing an asthma management and action plan. Bronchiolitis is a common chest infection, which occurs most frequently in babies, especially those under 6 months of age. It is caused by a viral infection. Antibiotics do not help babies with bronchiolitis. Babies need supportive measures such as regular small feeds and rest. The signs and symptoms of bronchiolitis include those that you would expect with a common cold such as runny nose. Coughing can cause your baby to wheeze and breathe quickly. This breathing pattern can make it difficult for your baby to feed. This may worsen over the following days and can include fever, poor feeding and dehydration. Babies with bronchiolitis are usually worst on day two and three of their infection. Illness can last for 7-10 days. Coughing might continue for 2 to 4 weeks. The treatment for bronchiolitis is supportive. It is important not to smoke in the home and near your baby. Antibiotics are not helpful as bronchiolitis is caused by a virus. Babies need rest and small amounts of fluids, frequently. If your baby is distressed or having problems with feeding, they may need to go to hospital for observation. Chickenpox is an infection that is caused by a virus. It causes a blistering rash over the body. It is spread from person to person by either direct contact with a person who has chickenpox or by contacting the fluid in the blisters. Fever is common. People are infectious 1-2 days priors to the rash appearing and until the blisters dry up. Children are commonly affected but anyone, at any age, can catch chickenpox. Chickenpox vaccination is recommended for all children at 18 months of age. People infected with chickenpox can usually be managed at home. Focus on fluids and comfort for care including simple pain relief (Do not give aspirin!). Those infected should not attend daycare, crèche, kinder, school or work. They should isolate themselves at home as they are a risk to others in the community including young children (<18 months old, immunocompromised people and pregnant women). If there are members of the family that have not had chickenpox vaccine or infection in the past, they should not have contact. If you are concerned about your loved one, see your health professional but advise the clinic staff that you suspect chickenpox. This way, isolation procedures can ensure you do not infect those waiting to see their GP in the clinic. Children can, like adults suffer from constipation. This is when they do a hard poo or do not do a poo regularly. It is important to understand that normal bowel actions in babies and children vary significantly. For instance, breastfed babies may have a poo with every feed, or up to every 7-10 days. Bottlefed babies and older children may do a poo every 2-3 days. If your child’s stool (poo) are causing your child a concern, then speak with your GP. This is a particularly common topic GPs discuss when children are toilet training, after a painful or frightening bowel action that may lead to children ‘holding on’. HOW WILL I KNOW IF MY CHILD IS CONSTIPATED? Children who are constipated may experience or even complain of stomach cramping and feeling less hungry than usual. They may seem irritable for no apparent reason and they may even have some bright blood from their bottom when small splits in the skin arise. Some children may refuse to sit on a toilet/potty. If things go on long enough, children may lose the sensation to go to the toilet to do a poo and can start to have accidents with poo. Constipation is caused by a variety of things, including slow gut movement, habits around toileting including holding on behaviour, as well as their diet. Rarely medical diseases cause constipation. Constipation can usually be controlled with good bowel habits and medication in children. Diet is less important to relieve constipation in children compared to adults – however, it is never too early to start healthy eating habits for life. If you are worried about constipation, speak with your health professional. Coughs are very common in children. Often they are caused by respiratory tract infections, usually viral. It is typical for young children to have up to 12 infections per year. Antibiotics do not help this sort of cough. It is also not uncommon to continue to cough for many weeks after a viral infection. This is called a post-viral cough. Antibiotics are also not helpful for this type of cough. Sometimes a cough can be caused by a bacterial infection and antibiotics might be prescribed by your doctor. If your child is otherwise well, despite having a cough – it is unlikely that there is an underlying serious cause for the cough. If you are concerned, it is worthwhile for your doctor to review your child. Smoking around children will make a cough worse. It is important to prevent this. A persistent night time cough may indicate asthma. However, often these children will have other symptoms such as wheeze and difficulty breathing. There may be a history of eczema or allergy. If you are concerned, speak with your family doctor. Cough medicines are not useful in treating cough in children; in fact, recent studies suggest that some cough medicines may be harmful to younger children. Current recommendations from the Australian Government Therapeutic Goods Administration are that cough medicines should not be used in children younger than six years old. There is no scientific evidence that cough medicines will be helpful. There is some recent evidence that honey may reduce the severity and duration of a cough. In children more than one year of age, one to two teaspoons of honey taken 30 minutes prior to bedtime may be helpful. Honey should not be given to children under the age of 1. Croup is a common viral infection that causes swelling of the vocal cords and windpipe. The swelling makes it difficult to breathe and results in a harsh barking cough. It is often worse at night when air is cooler. Children up to the age of 5 are commonly affected. Croup can occur in the same child more than once. Croup will often begin like a regular cold which might include a runny nose. The cough may change to be barking. The voice may be hoarse. Breathing may be squeaky when breathing in. This is called stridor. Symptoms are usually worse at night, and peak in their severity on the 2nd or 3rd night of the illness. Croup can last from several days to 4-5 days. As symptoms often worsen at night, staying with your child can help calm them down and promotes sleep/rest. Sometimes your doctor will prescribe steroids to help reduce swelling of the vocal cords and improve breathing. For children who are very unwell, sometimes they need to be admitted to hospital for observation and additional supports. Developmental dysplasia of the hip (DDH) is an abnormal development of the hip joint. It is more common in girls, first born babies, babies born feet first/breech and those who have a family history. Your GP as well as Maternal Child Health Nurse will assess your baby for hip dysplasia. Some signs include uneven leg length and asymmetrical thigh creases. Depending on the age of your child, they may be referred for an ultrasound or x-ray to further assess their hips. If DDH is noted, a harness or brace may be recommended. In some rare cases, surgery may be required. The majority of children with treated DDH lead a normal life, however best results are seen in those that are treated early. If DDH is untreated, it may lead to an altered walking gait or arthritis in the future. Middle ear and outer ear infections are common. Most ear infections involve the middle ear. Babies and young children are more prone to middle-ear infections than older children because their Eustachian tubes (the tube that connects each middle ear to the throat is shorter and smaller). This means that germs can reach the middle ear from the nose and throat during head colds easily. Colds are very common in small children. It can be very common for small children to have several ear infections per year. However the good news is that most will outgrow ear infections simply by growing! Infections of the outer ear are usually due to excess moisture in the canal, for instance after water activities like swimming, or damage to the canal after use of cotton buds, scratching or inserting foreign bodies. HOW CAN YOU CARE FOR YOUR CHILD? Both types of infection can cause severe pain. The pain can make children irritable. They may pull at their ears or put their fingers inside ears. Some children may have fever, vomiting or lose interest in feeds. Sometimes there can be a discharge from the ear, which may suggest the eardrum has burst, if caused by a middle ear infection. Often, if this happens, children paradoxically feel better as the painful pressure building up in their ear has been relieved. Pain relief such as paracetamol or nurofen can help if your child is irritable and in pain. Remember only take as directed and according to age/weight of your child. Viruses usually cause middle ear infections. This means antibiotics will not be helpful. Supportive measures help keep children comfortable until they clear up the infection on their own. Sometimes antibiotics are needed if children are very unwell, very young or their infection has worsened. Outer ear infections tend to be caused by bacteria and usually need treatment with antibiotic drops. Your GP will discuss what is suitable for your child. Following a middle ear infection, children may continue to have fluid in the middle ear for some weeks. This may cause them to have trouble hearing during this time. The fluid will clear up over a period of up to 8 weeks however, if you have ongoing concerns about your child’s hearing – please speak to your doctor. Eczema is a common skin condition that generally begins before the age of 12 months. Skin can be dry, itchy and red. These areas can become cracked and weepy and also infected. There are ways to control and manage eczema well. This will help your child feel more comfortable. Eczema can involve any part of the skin but often in babies it affects their face and scalp. It can also be present over their arms and legs. Toddlers and older children tend to have skin creases around wrists, elbows, ankles and knees affected. It is not contagious. Eczema can generally be managed at home. It is important to identify and avoid the main triggers. Avoiding triggers is key. Keeping skin well moisturised to avoid dryness and if needed, reducing itch by using cool compresses. Heat is the most common trigger for eczema. It is important not to overheat your child. This includes dressing your child in 1-2 thin layers of cotton clothing, bathing in a cool bath <29oC. Your house heating should not exceed 20oC in the daytime and 15oC in the night time. Using a cotton blanket instead of doonas and woollen blankets. Educating carers including grandparents, kinder and school teachers of the importance of overheating is essential. Keeping the skin moisturised, with a good quality moisturiser is important. Some children will require moisturising 1-2 daily, others several times. Thicker creams and ointments are more effective than lotions. Soap should be avoided and instead bath oils or soap free body wash used to wash with. Despite these measures, skin may continue to be itchy. Sometimes steroid based creams or ointments are needed to control symptoms. Hand foot and mouth disease (HFMD) is a viral infection. HFMD is mainly seen in children under the age of 10 or in young adults. It is easily spread from one person to another. Most people have had HFMD by the time they are adults. As it is caused by a group of viruses, it is possible to have HFMD more than once. HFMD is spread by sneezing and coughing, as well as touching the fluid inside the blisters. It can also be transmitted in bowel movements (poo) for up to several weeks after a person has been infected. Infection spread can be stopped by washing hands well and frequently. Items such as cutlery, drinking cups, water bottles, toothbrushes and towels should not be shared. Affected people should stay at home until all the fluid in the blisters is dried. There is no specific treatment for HFMD. Antibiotics will have no effect, as it is caused by a virus. Pain relief is useful to help with discomfort, as are regular sips of fluids to stay hydrated. Allowing blisters to dry naturally and to rest. There is no vaccine or cure against HFMD. There is also no known risk to pregnant women or their unborn babies. However, if your child develops a severe headache, stiff neck or back pain – seek medical advice immediately. At Royal Park Medical, we strive to keep you, your family and the community healthy. Immunisation is one of the most significant public health interventions available to all of us, helping prevent the spread of many diseases. Immunisation is critical for maintaining the health of not only children but the wider community. Appointments for scheduled immunisations at Royal Park Medical are bulk billed*. *Appointments for bulk billed immunisations are not available on Saturdays and do NOT include travel vaccinations/consultations. ^ Pneumococcal vaccine is funded by the government in those aged 65+. Patients at high risk can purchase it privately with a script provided by your GP. This includes patients with suppressed immunity and chronic diseases. Please discuss with your doctor. This can be purchased privately with a script from your GP. Royal Park Medical stocks a range of vaccines that can be purchased through our clinic, for your convenience. This includes travel vaccines as well as occupational ones such as Q fever. Your GP will determine which vaccines are suitable and recommended for you during a consultation and in most cases, will be able to arrange immunisation at the same time. Government funded vaccines are not charged. Royal Park Medical is currently awaiting accreditation from the Department of Health to be able to offer Yellow Fever vaccination. Watch this space for updates. Speak with our friendly reception staff if you have queries about which immunisations we stock. The Victorian government has announced a free influenza vaccine program for all Victorian children aged six months to under 5 years of age in 2018. The Australian government has also just announced that it will add Nimerix to the National Immunisation Programme (NIP) for infants aged 12 months. The new vaccine covers against A, C, W and Y strains (MenACWY) and will be added to the NIP ahead of the next peak meningococcal season which, based on previous years, is expected to be in the second half of the year. In March 2018, the Pharmaceutical Benefits Advisory Committee (PBAC) will consider the listing of a MenACWY vaccine for adolescents. Molluscum Contagiosum is a common skin problem with small, harmless raised spots. The spots can stay on the body for a few weeks, several months or sometimes for more than a year. It is caused by a contagious virus. It spreads from person to person, or to different areas of the same person. Children are most often affected and can come in contact with the virus when sharing baths with other children who have the spots. It can also be spread in swimming pools, with bath toys and towels. Treatment is usually not needed and good personal hygiene can prevent spread. Bed wetting – sometimes called nocturnal enuresis- is a problem for many school aged kids (and their families). About 1 in 10 kids aged 6, experience regular bed wetting. The good news, is that for many – the problem can be fixed through relatively simple measures. Some of the causes of bed wetting can include having a small bladder, being a very deep sleeper, intrinsic problems with the kidneys as well as genetic factors. Treatment is available but is not recommended if your child is under 6 (many children will spontaneously resolve their bed wetting by this age, and treatment is less effective). However, if you’re concerned or your child is troubled by their bed wetting – it is always worthwhile to discuss this with your health professional, regardless of their age. Remember – it is important to be patient and encourage your child. Punishing children or indeed the opposite – promising significant rewards can backfire and result is significant added stress and disappointment. Brothers and sisters also need to be on board. Drink plenty of water daily. Sugary drinks such as cordial, juice, soft drinks and sports drinks should be limited or not drunk at all. Eat a healthy breakfast every day. Limit foods that are high in saturated fat, salt and added sugars. Be physically active every day – play outside, run around at the local park or walk the dog. Limit screen time for all members of the family. Here are some fantastic websites that are an excellent further resource for parents.